After five years in development, Wike launched its new and revolutionary patented product in the fall of 2017. The Salamander is now in stock and ships out next day. 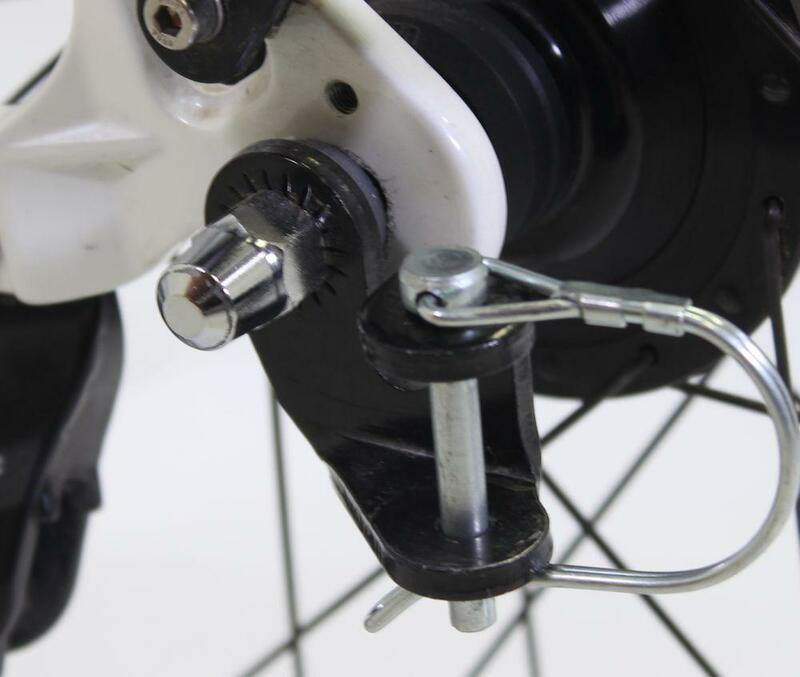 It comes in two boxes, you just need to bolt the pod onto the bike frame, slide the seat post and handlebar stem into the frame, and attach the bell. The Salamander Stroller-Bike operates perfectly as a standard Dutch-style cargo bicycle or a double child stroller, and transitions between the two instantly and without effort. You can cycle to the bus or subway, convert to a stroller, and enter the transit system, then go everywhere that transit can take you. You can cycle to a mall or an apartment building, convert to stroller, and walk in. Conversion between bicycle and stroller is absolutely as easy as it looks on the videos, it takes about 10 mins to get the hang of it. The bicycle frame is high gloss black on 4130 tig welded alloy steel with the ability to upgrade from the roller brake to disc or caliper brakes on the front wheel, or to disc on the back wheel. (we do not do the upgrades). The carrier is an ABS plastic pod with an adjustment for two seat heights. All bicycle parts are standard and are able to be serviced locally. The seating provided can easily be removed and a car seat may be strapped to the floor of the pod. In this case, the pod will only carry one child. You can choose the colors of the canopy at time of order. We are stocking Black, Red, Orange, Gold, and Blue. We only sell the Salamander direct through our website or from the factory door in Guelph where they are made. European orders currently ship from our warehouse in Holland. North American and all other orders ship from our Canadian Factory. Bafang Mid-drive assist 500-750W, batterie 48V. Cet accessoire n'est pas disponible pour les commandes européennes. La Salamander est conçue pour accepter un assortiment de kits de rechange.